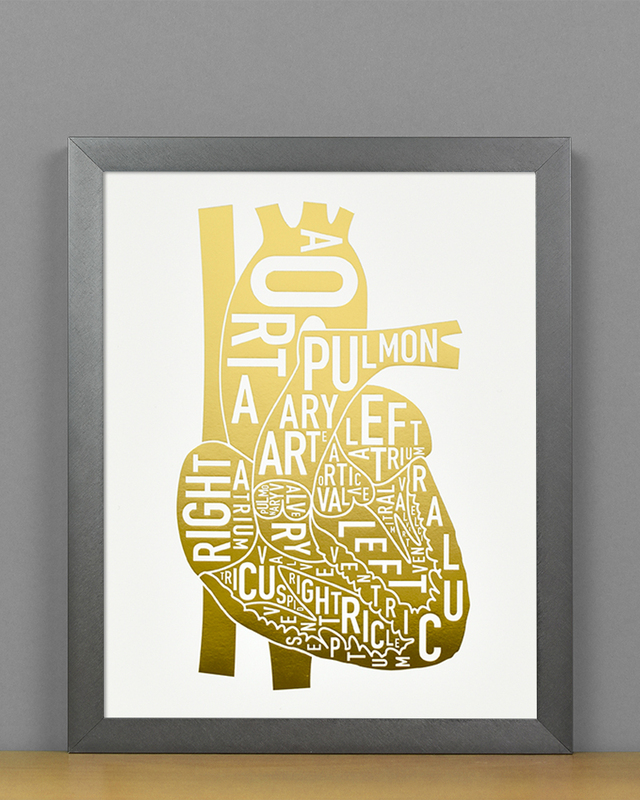 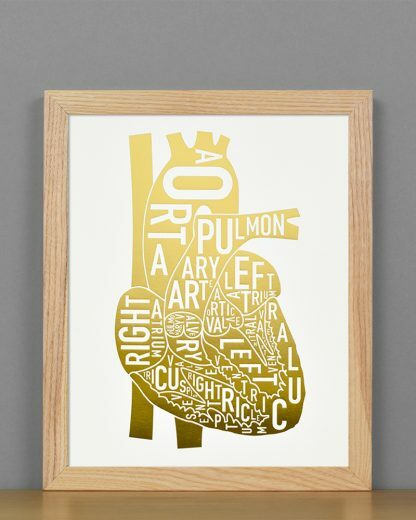 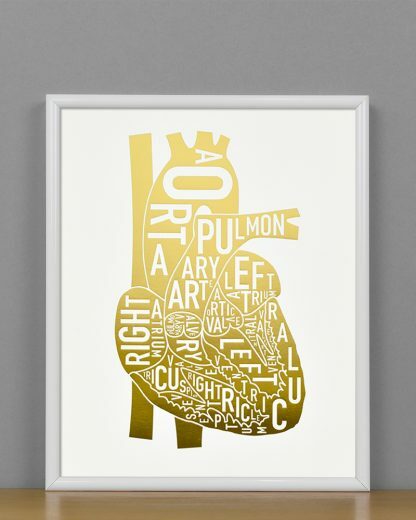 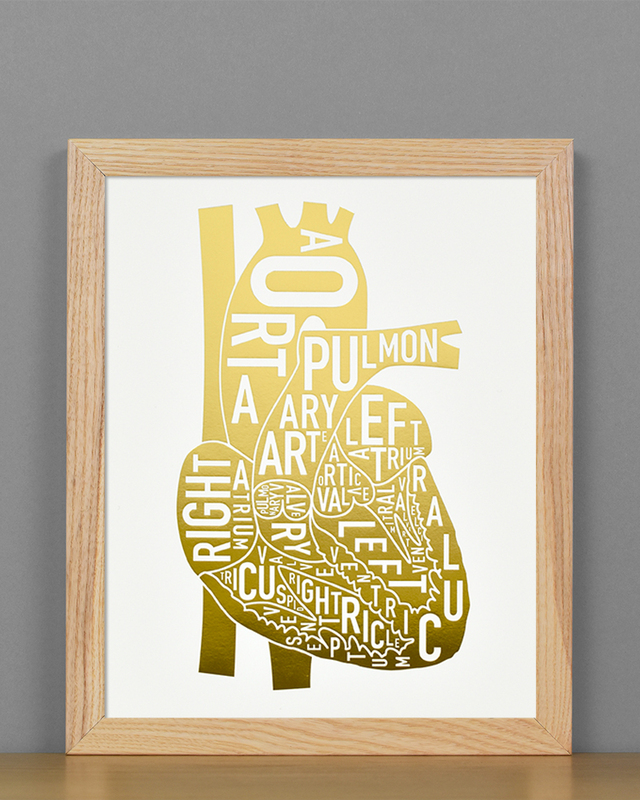 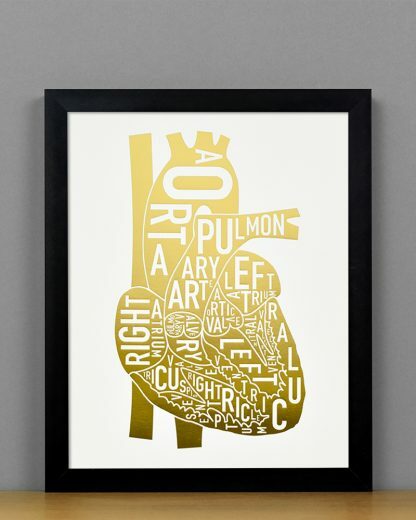 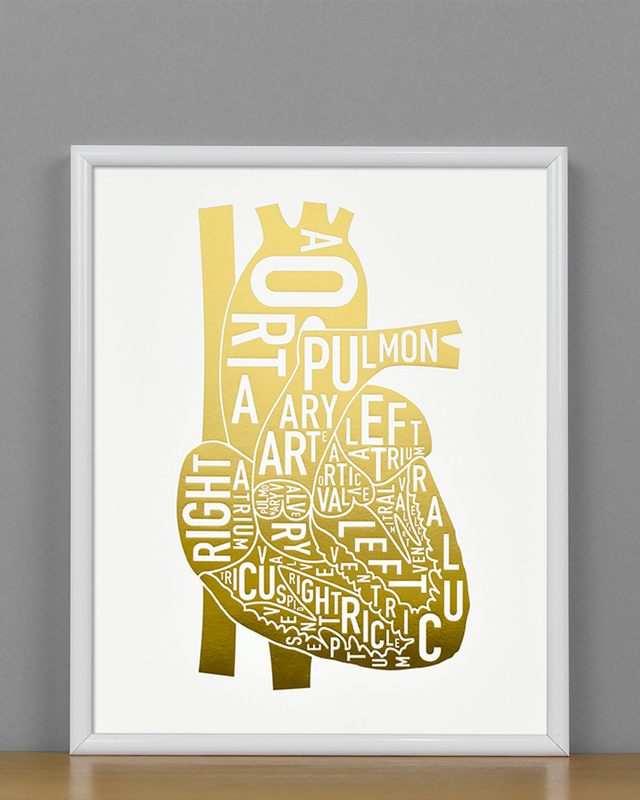 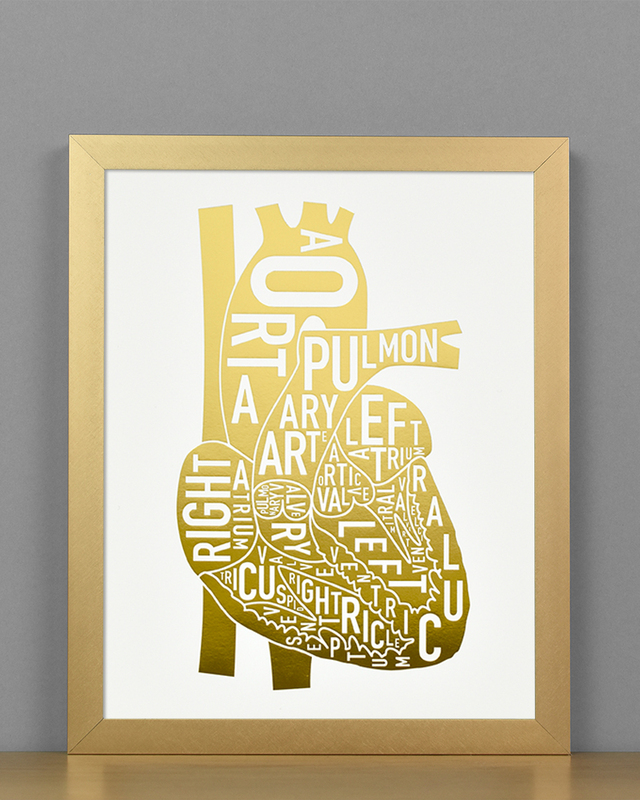 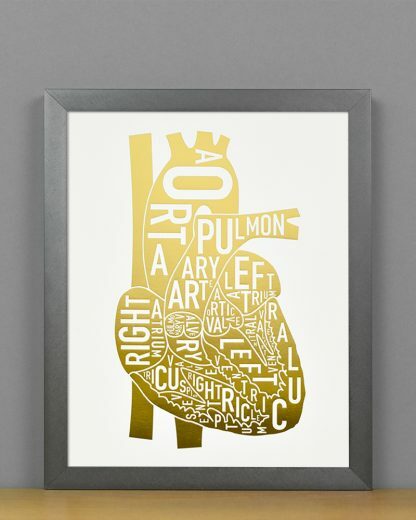 The anatomical parts of the heart, letterpress printed in metallic gold foil. 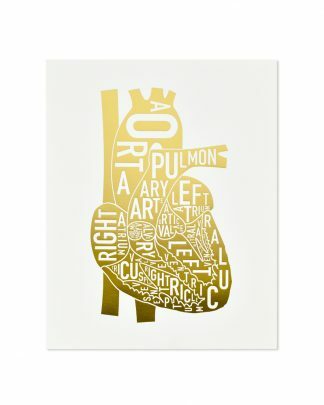 This 8″ x 10″ print makes a great gift for Valentine’s Day, cardiac doctors or nurses, or anyone who has a heart of gold. Shiny gold foil on bright white uncoated, thick paper. 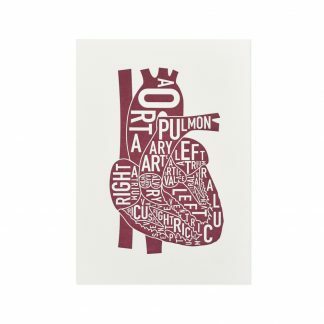 Printed in Wisconsin. Shipped flat in a mailer with chipboard backing for a safe voyage to you. 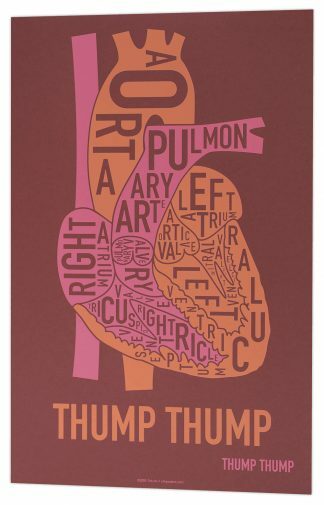 *For decorative purposes only, do not use as a medical reference. Black, steel grey, silver, and bronze metal: 3/4" square profile. 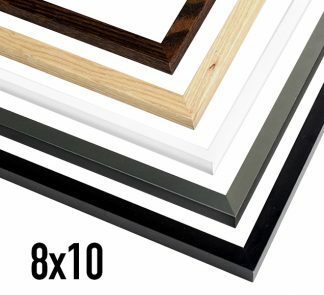 White metal: 3/8" rounded profile.